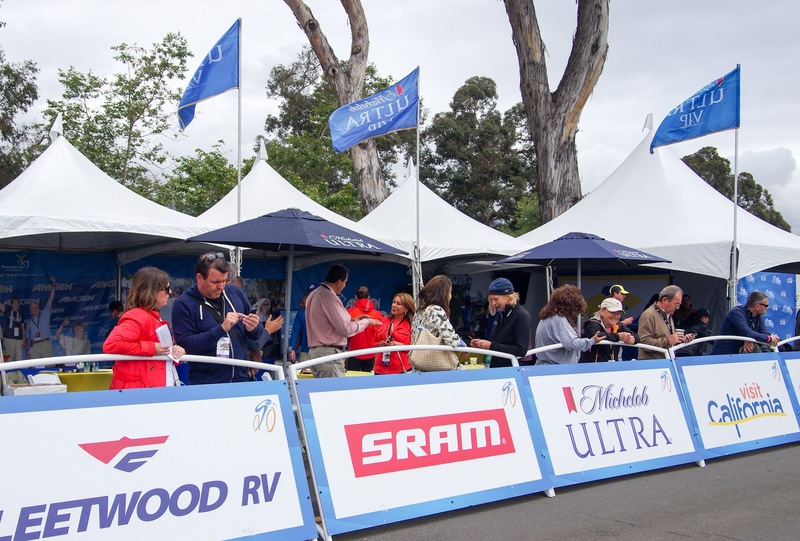 Tourist activities near the Amgen Tour of California in Southern California: Stage 1, Stage 2, Stage 3, and Stage 4. As in life, balance in travel is a particularly good thing. The Amgen Tour of California covers some of the best tourists towns in California all within one-week. Enjoy the sea, mountains, beach towns, high mountain lakes, the beautiful wine country and the dramatic California coast. The stage race begins in San Diego and finishes in the state capital of Sacramento. Ride, hike, eat, stroll, relax, road trip and cheer on the best cyclists in the world including World Champion Peter Sagan, Mark Cavendish and Bradley Wiggins (read more about the riders attending). 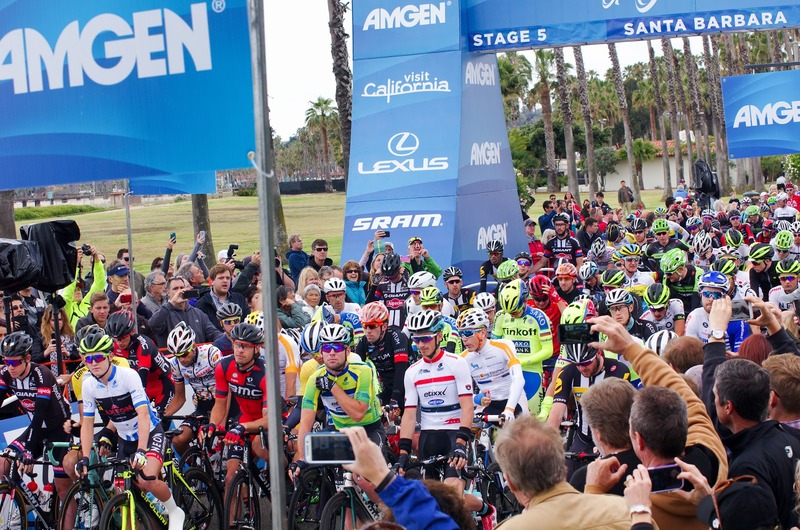 Did you know that Visit California is a major sponsor of the Amgen Tour of California? Intentionally playing tourist on the sidelines of the Tour of California is a great idea. Take the day off of work or school, plan a short or long vacation, get together with friends or family or go alone (you won't truly be alone). If you are planning to see the bike race, why not take time to see other sights before or after the stage, dine and stay locally. Think of it as the best way to say thanks to the businesses and host cities who support bike racing. Transfer to this page to see ideas on: Tour of California Host City activities: Stages 4-8. Please read the details of each stage at: Pedal Dancer® TOUR OF CALIFORNIA GUIDE PAGE for spectators. Stage Route and Maps for Tour of California 2016 by Pedal Dancer®. The race begins in San Diego, the state's second largest city, on Sunday! Stage 1 centers in Mission Bay area near Sea World Theme Park (which recently stated the killer whales in captivity will be their last). The race starts at 11:30am and finishes around 3:40pm. Show up early to enjoy the area for the entire weekend. It thrilling to see the pro riders out training on the local roads, where most will test the KOM climb on the days before the race begins. See the official Team Presentation, tickets $100 each, on Friday evening, About Tickets, Registration). Rent a bike and pedal around Mission Bay: cheap-rentals.com (also rents kayaks and paddle boards), or Rays-rentals.com, or Radd Action Sports. Ride the Mission Bay bike path full loop. Detailed bike path loop with sights along the way. Other San Diego Bike path routes in the area. Get out and see the ocean. Take a boat trip: tripadvisor list; personally I am a big fan of Duffy boats (booze cruises) and sailboats. Take a stroll along the beach on one of these 5 of San Diego’s Best Scenic Waterfront Walks. See one of the big tourist sights like the San Diego Zoo or the USS Midway Museum; good with kids. Venture north to La Jolla for a hybrid electric bike tour given by San Diego Fly Rides. Variety of guided tours offered. Or take a kayak tour in the ocean through the caves with LaJollaKayak.com. Visit California offers ideas on where to watch a sunset view in La Jolla. Bring your own bike and take a bike ride. Here is the interactive bike route map of San Diego area. Or take the decadent Stay Chocolatey San Diego Ride following the GPS Ambassador bike ride, 13-miles around San Diego. 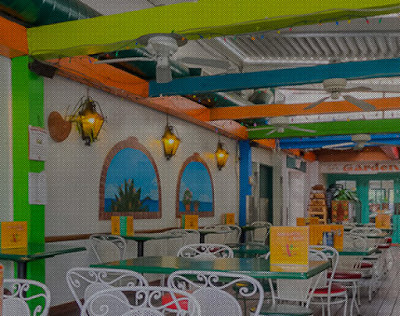 Before or after the stage, take a stroll through old town and try casual Mexican food at Old Town Mexican Cafe, nearby Cafe Cayote, or El Agave Tequilaria. Or other Mexican restaurants in Old Town: Casa Guadalajara, or Fiesta de Reyes with their daily musical entertainment! 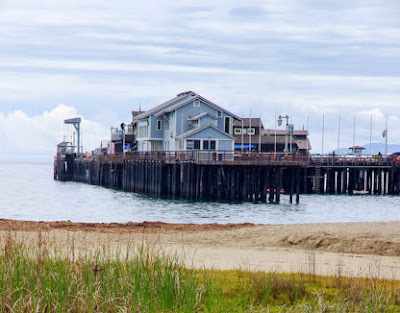 Or if you are coming and going from the north side via Mission Blvd, try the La Playa Taco Shop, combined with a sandy beach walk on the inner bay or outer ocean. After the stage, make a reservation to enjoy the beautiful inner north Mission Bay setting at the Oceana Coastal Kitchen. 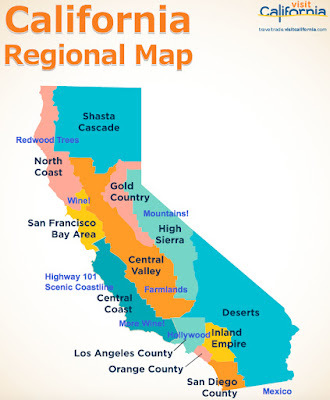 Visit California offers a 5-7 day Classic Hwy 1 Road Trip Tour of California. This year's Tour of California will pass through many of the spots highlighted on their tour. On race day, join a Watch Party on route: 9 different watch parties are planned along the route of Stage 1, find a party. There will be a gathering, on route, in El Cajon on Main Steet, between 12:00-4:00 p.m. to watch the race. There will be a gathering, on route, at the Sprints points segment in Imperial Beach, along Palm Avenue and Seacoast Drive between 11:30- 4:00 p.m..
Find your favorite spot anywhere along the route on race day, arrive early to avoid traffic and road closures: Stage 1 route map. Check road closures and drive or ride your bike out to one of the sprint of KOM markers: Sprint locations: 1) Imperial Beach, 2) Navajo Road; KOM location: Honey Springs Road. Ride your bike to the start/finish area: secure valet bike parking offered by Blind Stokers Club. 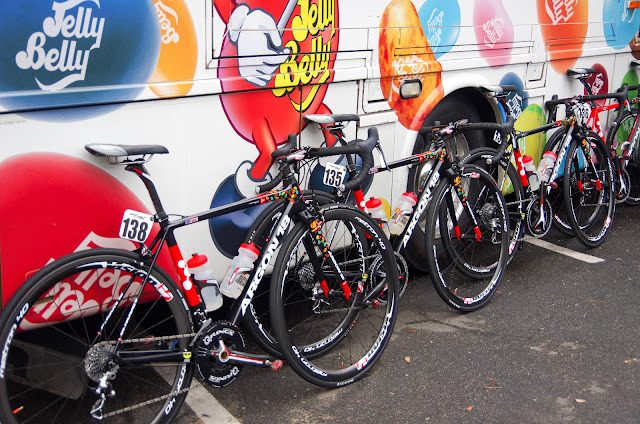 If you want to see the riders pre-race, find the team buses near the start area, or be near the sign-in stage (near the start line) by 10:00am. Riders must sign in 1-hour prior to start (11:30am). Enjoy the Expo/Festival area between the start and finish. Fun free swag and vendors. Participate in the Breakaway Mile: Register for the San Diego Breakaway Mile for cancer survivors and caretakers (prior to the men's race finish). Stage 1 Festival Hours: 10:00 AM - 4:30 PM near the finish area: exposition and live music. Stage 1 start time is 11:30 AM (the San Diego Local Organizing Committee has wrongly printed the start time as 10:30am, this is incorrect). As at every other UCI race, riders must sign-in on the sign-in stage, at least one hour before the stage start. There is also a customary singing of the national anthem before the start; these proceedings are not considered the race start (affecting road closures). There are a number of key tourist sights on the drive between San Diego and Los Angeles County. 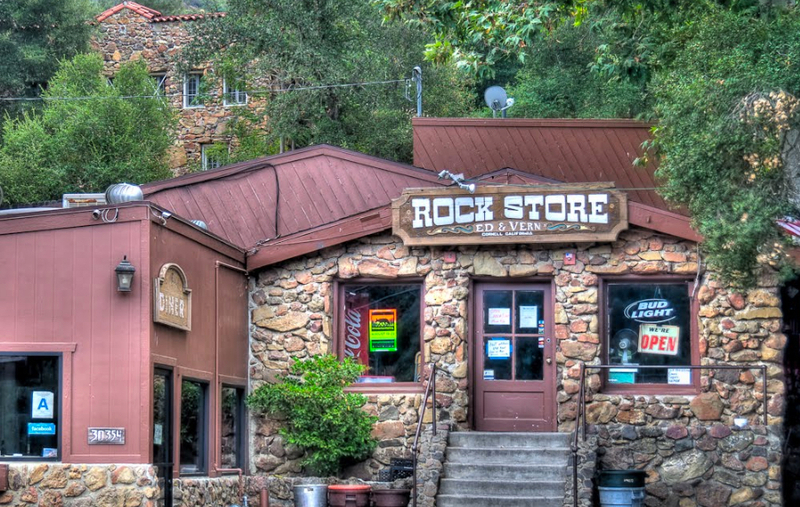 Visit any of these places after watching the start of Stage 2 at 12:05pm in South Pasadena. Ride (or drive) up Angeles Crest Highway to Big Tujunga Canyon to 1 of the 2 KOM markers. 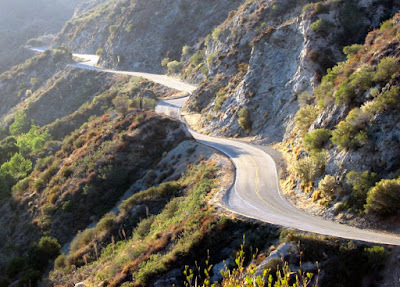 Or ride/drive up to the KOMs in Little Tujunga Canyon (closer to the finish in Santa Clarita). You are in the land of museums - take the time to visit one of the many excellent art museums near Pasadena: Norton-Simon Museum: 10-minute drive from South Pasadena; Huntington Library (art and gardens too): 10-minute drive from South Pasadena; The Getty Museum of Art: 45-minute drive from South Pasadena; Los Angeles County Museum of Art: 35-minute drive from South Pasadena. Visit the famous landmarks of Los Angeles for a fantastic view: Hollywood sign a 30-minute drive from South Pasadena. Or Griffith Observatory and park a 30-minute drive from South Pasadena (near the Hollywood sign). Join BeSpoke bike tours for a guided bike and hike to the Hollywood Sign. Cruise the infamous Rodeo Drive a 40-minute drive from South Pasadena. Visit Santa Monica - the Peir and beach, the shops of Third St Promenade, or bag your berries alongside A-list celebs and lauded chefs at the Santa Monica Farmer's Market on Wed, Sat, Sun. Ride the Griffith Park - La Tuna Canyon loop, 33.12 miles in Los Angeles near Pasadena. Map My Ride route map. Ride your bike: cycle Mulholland Drive in Los Angeles. Or Climb Mt Baldy less than an hour's drive from Pasadena, starting point for the climb in Claremont or Glendora. You can join a Trek Travel Tour that will guide your through Stage 2 and 3, take you on some of the best bike rides in the Los Angles area and set up great hotel and meals for you with experienced guides. TrekTravel Tour of California. About the stage: Stage 2 starts in South Pasadena at 12:05pm; Stage 2 start line VIP Hours in Pasadena: 10:30 AM - 12:30 PM. Santa Clarita is a good location to find a hotel for the night (plentiful and lower cost than in Thousand Oaks). You can drive to Thousand Oaks or Santa Barbara the next morning for the start or finish of Stage 3. Enjoy the festival in Santa Clarita (and the beer tent) before the finish. 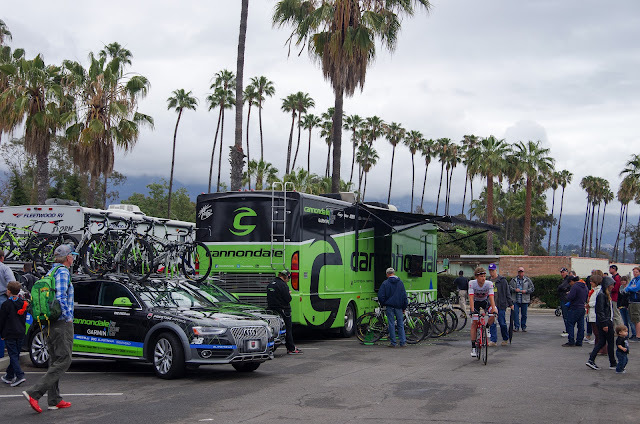 About the stage: Stage 2 finishes in Santa Clarita at approximately 3:46pm; Stage 2 festival hours in Santa Clarita at the Finish: 11:00 AM - 4:30 PM; Stage 2 finish line VIP Hours in Santa Clarita: 10:00 AM - 4:30 PM. 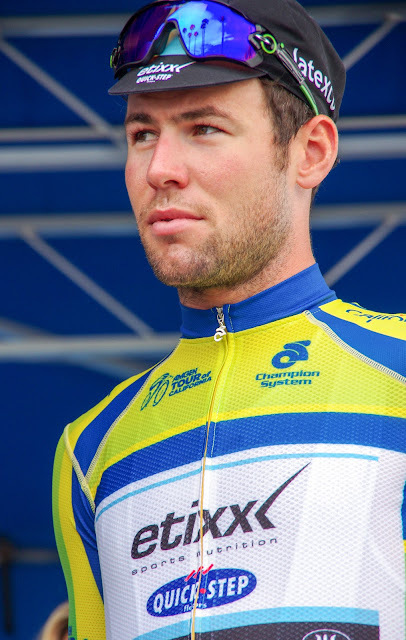 Thousand Oaks is home to title sponsor Amgen. A good area for advanced cycling. Ride your bike over Old Tapanga, Mulholland, Dry Canyon and Cold Creek: many choices on Ride with GPS Malibu area. Did you know local pro bike rider Phil Gaimon recently joined in the effort to clean up Mulholland Drive, and Dave Zabriskie (owner of DZNuts) lives in these hills. Ride the paths on the Thousand Oaks bike route map to Stage 3. Fifteen minutes north of Thousand Oaks (on your way to Santa Barbara) visit my families favorite airport restaurant where you can dine outside while watching small private planes take off and land. Located in the farm fields in Ventura County in Camarillo: The Waypoint Cafe and the nearby Commemorative Air Force Museum. Definitely hang out by the sign-in stage to see all your favorite riders sign-in beginning at 10:00am. Ride to one of the 4! King of the Mountain (KOM) points along the route of Stage 3: KOM locations: 1) Potroro Road, 2) Westlake Blvd, 3) Casitas Pass Road, 4) Gibraltar Road Finish! 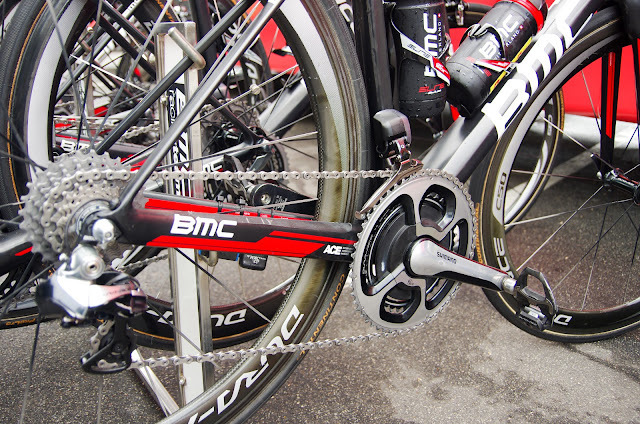 About the stage: Stage 3 starts at 11:10am in Thousand Oaks; Stage 3 start line VIP Hours: 9:30 AM - 11:45 AM. An excellent city to visit for the day or three days, Santa Barbara has colorful culture, good food, local wineries and coastal scenery. Pedal Dancer's Santa Barbara guide from the 2013 Tour of California is still a valuable guide for local food, wine touring, surfing, trolleys and more. 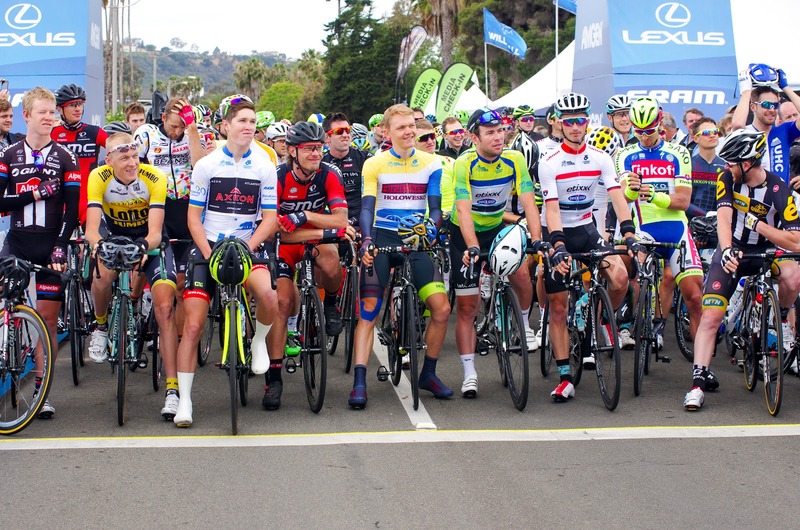 Ride the route of the 2016 L'Etape California in Santa Barbara to the top of Gibralter Rd at La Cumbre Peak to see the stage finish (start very early because you will have a pro peloton on your tail). [Register for the real L'Etape California on April 24th]. Enjoy Mixed terrain biking: follow the route on Ride with GPS in and around Santa Barbara. Visit the Old Mission in Santa Barbara. Have an early lunch at La Super Rica Taqueria (622 N Milpas St, open 11am, CLOSED WEDNESDAYS), good Mexican food, selecting any small dish specials from the chalk board (cash only). Some claim that Los Agaves Restaurant is even better (larger portions) with a nice atmosphere and food, one block down from La Super Rica (at 600 N Milpas St). I like both places a lot. Visit the wineries in Santa Barbara. On your way to Morro Bay, north of Santa Barbara, stop in Solvang to enjoy local wines and a great bike ride along Foxen Canyon (one of my favorite rides anywhere!). Follow this do-it-yourself *free Sideways Movie Bike Tour map, stopping at wineries along the way or grabbing a coffee in Los Olivos. 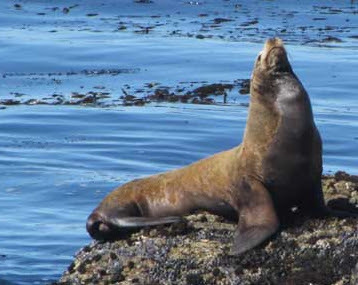 The drive from Morro Bay to Monterey along California Hwy 1 is one of the most scenic drives in the United States. This would be a very good town to give your business to local stores and restaurants. Arrive early and enjoy a meal. Hike Morro Bay State Park. 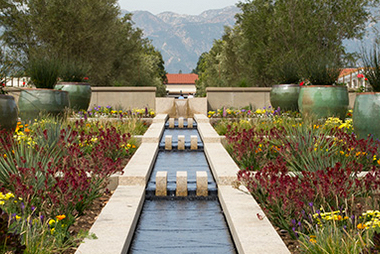 Visit the nearby college town of San Luis Obispo. 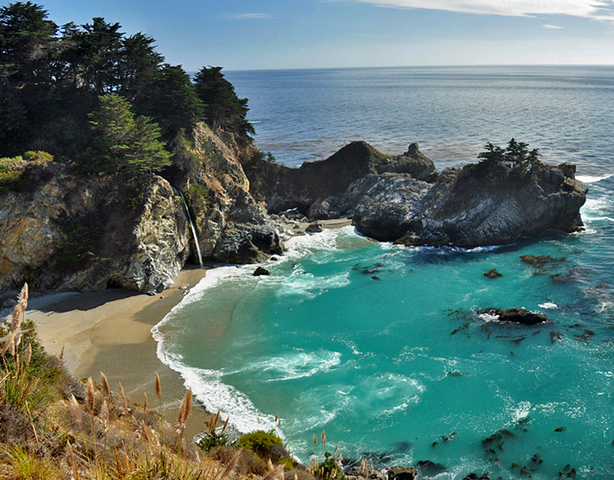 Road Trip: California's Pacific Coast Highway with National Geographic (reverse this trip). Stop in for lunch in the quaint town of Cambria along the coast (2 hr drive north of Santa Barbara). Hearst Castle: one of the most popular tourist sights in California, Hearst Castle is a 55-minute drive north up Hwy 1 from Morro Bay. (2'23" north of Santa Barbara). Find a spot near the start line sign-in stage to see all your favorite riders sign-in 1 hour before the start. PART II: To read tourist ideas for stages 4-8 in northern California, please transfer to: Tour of California Host City activities: Stages 4-8. More information about the race on the Pedal Dancer® Tour of California Spectator Guide Page. See you at the race in 2016! Coming soon: Startlist and bib number Amgen Tour of California 2016; National and World Championship jerseys at the Tour of California; and stories from the race.